>Blog>What Is The Meaning Of OG? OG Kush has risen to the very top of the high-grade marijuana pyramid. Not since Skunk No.1 bursted on the scene in the 1980’s has a single cannabis strain achieved such commercial success without compromising its street cred. We remove the veil and delve into the mysterious origins of both the genetics and brand name behind the immense success of OG Kush. Blazing a well rolled joint or blunt of some genuine OG Kush is a unique experience. The nuances of this particular Kush distinguish it from all others. Visually stunning, dank smelling and a superb powerful high make this the strain all stashes are invariably compared to. Rock-hard resinous buds that resemble a light green neon frosted acorn will mesmerise the gaze of any stoner. A combination of fuel, lemon and pine scents will excite the nostrils. Super sticky to the touch compact firm nuggs and if you listen carefully they will whisper “Hey buddy, smoke me, smoke me”. When it comes to effect, OG Kush is tough to beat. THC levels in excess of 20% put OG Kush in the cannabis connoisseur class. Full-bodied, rich, old school Kush flavour, with a hint of spice and lemon, what a taste. 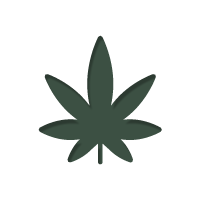 The complexity of the kind of high experienced is open to debate as cannabis affects everyone a little different, but generally, although predominantly indica in appearance, the high is sativa influenced. It’s a complete mind and body experience that comes on pretty fast, definitely not for the uninitiated, but a real treat for veteran stoners. This potent blend of a cerebral clear high and creeping body stone that usually leads to “couchlock” makes the OG Kush a knockout hit with all stoners. Many phenotypes/cuts, hybrid crosses and outright knock-offs are on the market currently, but nothing compares to the original real deal OG. Imitation is the greatest form of flattery after all. The exact genetic lineage of the OG Kush is shrouded in mystery. However we are leaning towards the theory that it is in fact an unstable hybrid of Chemdawg and Lemon Thai X Old World Pakistani Kush that gives rise to several phenotypes. Unfortunately there is no hard evidence to support the folklore associated with the background of OG Kush. The best we can do is evaluate the evidence available. Chemdawg, another mythic strain, putting aside its own origin, would certainly account for the tight buds and fuel scent, combining this with the lemon undertones and sativa component of the high would also account for the Lemon Thai X Old World Pakistani Kush element. All that is certain is this wonderful strain originated somewhere in California during the mid 1990’s and has proliferated first throughout the rest of the US and then the World. Two Californian cannabis cultivators in the mid 1990’s are enjoying some fine weed and discussing the strain. The first remarks “this flavour could only come from mountain-grown Kush” (presumably noticing the Lemon Thai undertones and influence of the Pakistani Kush). The second retorts knowingly “this is ocean-grown bro”. So the story goes. Again, if we look at the facts and apply some common sense without jumping to wild conclusions, then this is really a very plausible explanation. Names for cannabis strains come from very strange places and situations, but often the simple ones inspired by mundane daily events are the ones that become legends. Skunk No.1 has given rise to countless hybrids and a few special phenotypes have even become legends in their own right. 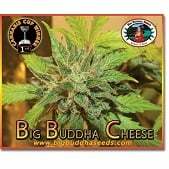 “Cheese” is perhaps the best example of a distinct phenotype that is so remarkable and different to the original, it in effect is a new variety. Simple, descriptive, succinct, and Cheese is still the most popular weed in the UK and Ireland today. If we think about OG Kush in a similar term, then it makes sense for Pacific potheads to label their Kush as “Ocean Grown”. OG in reference to Original Gangster is hip-hop terminology and another possible explanation for putting the OG in OG Kush. Sure California, especially LA is essentially the Nashville of Gangster Rap which was coincidentally exploding around the same time as the Kush in the early 1990’s. The cultural influence of the state of California cannot be underestimated. It’s equally as likely that the early Kush pioneers of San Fernando Valley were big fans of Cypress Hill and just called their particular cut Original Gangster Kush because it sounded cool. Stranger things have happened and a little mystery makes for a more interesting origins story. The average stoner is unconcerned about what the OG in OG Kush stands for, all that’s important is that it’s fire! Every legal dispensary in the US simply must have OG Kush or some derivative on the menu. When recreational marijuana is legalised this November in California we expect nothing less than massive OG Kush cultivation and consumption. OG Kush has made inroads in the European market mostly via seeds. All the well known seed banks have added an OG Kush to the catalogue, usually along with at least a half dozen hybrid crosses. It’s the home growers of Europe that are discovering the pleasures of OG Kush and yet still more phenotypes will be found and further hybrids spawned.